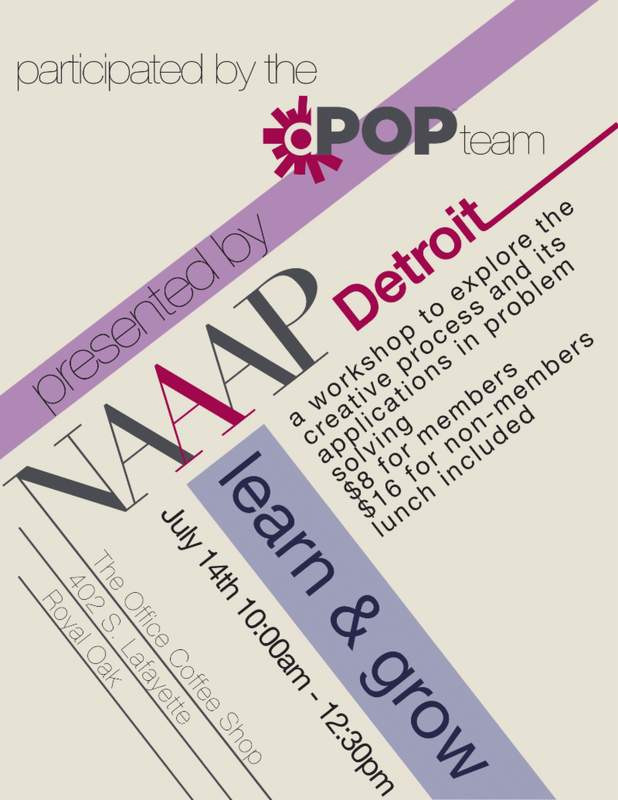 Join NAAAP Detroit to learn about the creative process utilized by visual artists and its applications in everyday problem solving in a dynamic Learn & Grow workshop at the Office Coffee Shop, 402 S. Lafayette, at 10 a.m. on July 14th. The L&G series is designed to investigate various professional skills through moderated panel discussions with successful leaders. The workshop, which will include lunch, will be led by the dPOP Team, Henry Tanaka and Jocelyn Chen. dPOP!, a company focused on bringing creativity and collaboration to workplaces was launched in 2013 in downtown Detroit. 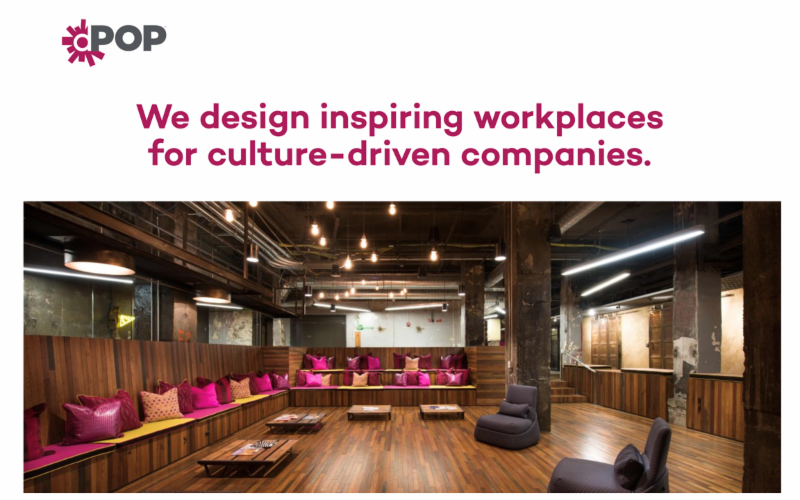 Born from the experience of designing Quicken Loans’ award-winning office spaces, dPOP! provides businesses with innovative opportunities and inspiration to make their offices more fun and functional. dPOP! – standing for People, Office and Places – is part of the Rock Ventures Family of Companies. Recently retired Academic Dean for the Division of Art, Design and Humanities at a community college in Southeast Michigan. Serving for 24 years in various roles including Professor of Art and Department Chair of Humanities, he has received several accolades for leadership and teaching. Henry has been a practicing artist for 30 years, exhibiting locally and nationally. Principle of Jocelyn Chen Design and the founder of the not-for-profit organization DesignConnect. She was the Operations Director of GM China Design located in Shanghai, then served as the Chief of Staff for the VP of Design at General Motors until 2016. She holds a B.S. in Engineering from Oakland University, a Master degree in Electrical Engineering from Purdue University, and a B.A in Art History from Oakland University.